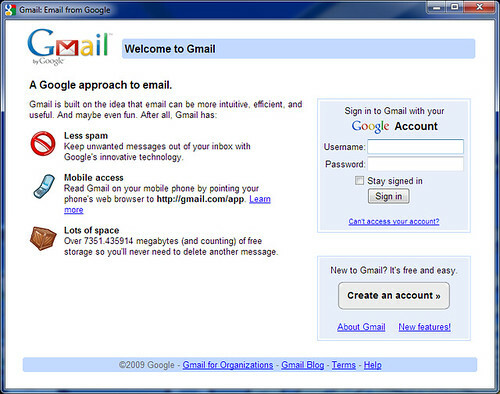 Gmail is one of the most widely used free email services in the world with over 425 million users. Provided by Google, it integrates seamlessly with other Google products and offers a host of features including 15 GB of free storage to share between Gmail, Google Drive, and Google+ Photos. It also allows users to send attachments with up to 25 MB in size. It’s a powerful, convenient, widely used service that is best of all free. Many small business owners and employees use Gmail or other free email services as their primary email address and list it on their business cards or even their website. Despite it’s many attractive qualities, using Google for business purposes can have real negative drawbacks. 1. It’s Branding Gmail – Not Your Company. When people see your email address, they are seeing Gmail, not your business’s name/website address. Why not promote your business and get more visits to your website? This is very low cost advertising and helps elevate the perception of your company. Setting up email through your business domain is easy to do. Even if your website is not yet built, you can still set up an email address to the domain. And if you have a holistic marketing approach, you’re doing email marketing to stay in contact with clients and work your leads. 2. You Should Convey Trust/Professionalism. Not having your own branded email gives the impression you’re not well established, not technologically up to date, or your business is just plain struggling. You want to display credibility and professionalism in your email. Recent email hacking, security breaches, and the NSA “leak” scandal has shown that data on the Internet, particularly free email accounts, is vulnerable to being compromised. Even Google themselves said in a court filing, that Gmail users have no “reasonable expectation” that their communications are confidential. Having your email on your own domain tends to be safer and a lesser target for intrusion. 4. Security – Your Customers/Contacts Can Be Easily Deceived. The Internet has opened up a whole range of malicious practices aimed at stealing information, deceiving, and otherwise illicitly profiting from others. Gmail accounts, and other free email services, can be easily spoofed and used to deceive your customers and contacts. Gmail addresses are widely available and it’s easy to sign up for a new account. For example, say you have a successful personal training business called John Doe Training and your email address is johndoetrainer@gmail.com. There are shady people out there than can write companies or individuals impersonating your Gmail account used for business and ask for money or free stuff from companies in exchange for promoting products. They could use an email address similar to your such as johndoetraining@gmail.com to deceive your customers and business contacts. It would be much more difficult for these duplicitous practices to occur with a branded domain email. Emails from Google to Gmail account holders requesting a new password can also be fraudulently mimicked to trick users into providing their valuable, personal and business information. 5. You Could Be Losing Business. All of the above contribute to the worst consequence of all of using a Gmail account for work – lost business! You can have own domain email set up and hosted for a year for less than $100. If you’d like more information or help with setting up your own personalized domain email and email hosting, please contact us.